Industrial enclosures go by a lot of names. 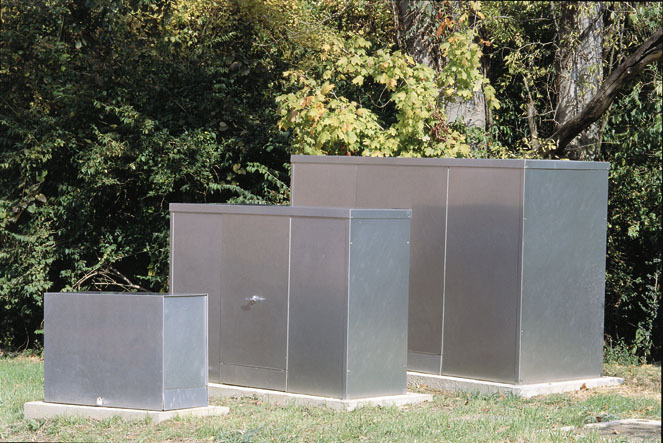 You may hear them called a pump house, valve house, hot box, utility shed, precast building, aluminum shelter…the list goes on. No matter what you call them, there's a commonality. Someone decided that the equipment inside needs protection. Maintaining and protecting pumps and process related equipment of any type in a fast paced industrial manufacturing facility is instrumental to their success. These critical devices must function as expected - suddenly, in an emergency, and routinely - to keep everything clicking along without expensive downtime or production interruption. Read in depth about the five industrial enclosure design considerations here. It’s clear that this protection is necessary. However, all of these devices also need regular preventative maintenance, testing and tuning to keep them operating at peak efficiency. It's critical to ensure that your enclosure solution not only protects your equipment from risks, but also allows you easy access at any time for routine maintenance or repairs. You may need multiple lockable doors, panels, and sometimes roof access so these important jobs can get done. Additionally, the crew will need room inside to work. That really means that most industrial enclosure applications should be treated as a custom project. Many sales reps, engineers, project managers and facility managers hesitate to do that because they think the “c” word (custom) means high price, long lead-time, and a big hassle. That's understandable, but it’s not necessarily true when it comes to equipment enclosures. It's actually completely economical to customize a wide range of features. Dimensions are fully customizable, along with aesthetic details like color. Custom penetrations can be easily incorporated for existing piping. Roof access and panels can be provided for direct access to critical components to address the realities of maintenance that often aren't designed in up front. If you make it easy to maintain, it's more likely that it will be. Evaluate protective enclosure manufacturers for these capabilities and you’ll have a much easier time getting what you want and what your equipment needs.